WASHINGTON, February 28, 2012 – The World Bank Board of Executive Directors today approved an International Development Association (IDA) credit* of US$100 million to improve efficiency in four service delivery sectors in Uganda covering health, education, water & sanitation and transport. The credit seeks to increase the number and proportion of children immunized with Diphtheria Pertussis Tetanus (DPT3) to 90 percent from 82 percent; increase the number of girls in public schools passing Primary Leaving Examinations with grades I-III to 46 percent from 45 percent; improve functionality of rural valley tanks and dams to 84 percent and 30 percent respectively from 82 percent and 23 percent; and increase the proportion of paved national roads in fair to good condition to 80 percent from 65 percent. Interventions will target predominantly the poor and lagging areas where Government is the major provider of social services. “This operation supports key reforms in public procurement regulations and developing a more performance- oriented public sector through new performance agreements with high-level officials and government adoption of a single framework for results oriented management, output oriented budgeting and budget monitoring”, said Paul Wade, Senior Country Economist for Uganda and Task Team Leader for the Operation. The 9th Poverty Reduction Support Credit (PRSC9) which is prepared with other donors under the Joint Budget Support Framework is the second of three development policy operations to support Uganda's National Development Plan (NDP) and covers the period 2012-13. It focuses on two policy clusters: 1) Reforms in Public Expenditure Management, Public Financial Management and Public Service Management that Improve Service Delivery and 2) Value for Money in Public Service Delivery Sectors. Building on the previous PRSC 8, the new financing is expected to improve budget credibility; promote more transparent and efficient public financial and sector management. It will concentrate on accountability and improved service delivery systems at the local government level that should lead to better quality of education and health services. It will also result in boosting Uganda’s competitiveness and facilitate economic activity through improved infrastructure, especially Water for Production, as well as the transport sector, focusing on improving the condition of Uganda's road network. “With this new credit we hope to return to the course of reform implementation and economic management, and Government has reiterated its commitment to steady progress in these areas”, said Moustapha Ndiaye, World Bank Uganda Country Manager. PRSC8 which was the first World Bank credit to be designed under the Joint Budget Support Framework together with the Government of Uganda and 10 other development partners, focused on mitigating the impact of the global economic downturn of 2009, which threatened the pace of poverty reduction, by focusing on efficiency in public spending and value for money to create fiscal space. Not only was it effective in reducing the transaction costs for the Government of Uganda, it also increased national ownership, and improved budget support transparency and predictability. PRSC 8 also advanced performance management in public service delivery, including performance contracts for head teachers, and ensured more equitable deployment and retention of health and education sector staff to underserved areas. The World Bank’s current portfolio in Uganda consists of 17 IDA-financed projects with a net commitment of approximately US$1.3 billion making it the 8th largest in the Africa region. The portfolio also includes five regional projects; 13 Recipient-Executed Trust Funds worth $25.3 million and 36 Bank-Executed Trust Funds with net commitments of $12.4 million. Most of the Bank’s portfolio is invested in infrastructure development, with approximately 50 percent of commitments allocated to energy, urban development and roads. Talk about democracy in what has become a police state id laughable. The Uganda experience is unfortunate simple because Museveni fooled many who could be fooled and now he can not leave. He keeps giving those who are in for simple favours as he consolidates in office. Priorities are misplaced. Uganda is simply a sad story and no body is sure whether there can be a peaceful change. Dictators are a real problem to development. The prayer is to have people who are serious regarding democracy as future leaders. Short of that, Uganda is simply a sad story. Continued repression of freedoms in the country in an attempt to consolidate power by President Museveni’s administration is what has been cited by a US consultancy to conclude that the strength of democracy in Uganda is on the decline. A report by Flattau Associates, a Washington-based research and consulting firm that conducts government assessment and monitors democratic stability in countries, states that democracy in Uganda has “declined to slightly worse than moderate levels” in the past few months. The report notes that while Mr Museveni remains credited with bringing economic and political stability to Uganda and fostering efforts to combat HIV/Aids since 1986, “many critics, however, cite Museveni administration’s continued repression of freedom in the country in an attempt to consolidate power.” “For all intents and purposes, the President has succeeded in this endeavour,” reads the report in a part. Rating Uganda’s overall strength of democracy on a 0 to 10 scale—with 0 representing weak, 5 representing moderate, and 10 representing strong, the Democracy Monitor Quarterly report hands Uganda a 4.1 score. The report states that in the past two years, Uganda’s opposition have had no ability to form, operate, and participate in government processes without interference from Mr Museveni and the entities that he has control over like security forces and party members. “One key event which illustrates the on-going repression of opposition groups occurred when police arrested at least four opposition activists, including Forum for Democratic Change Women League head Ingrid Turinawe, and had them charged with treason, a capital offence punishable by death,” said the report. Ms Turinawe and her co-accused are on bail pending trial. The report adds that freedom of assembly, access to information, media independence and freedom “all declined to worse than moderate levels” between October 1 and December 31, 2011. The report comes at a time when government has declined to admit a UN envoy on freedom of expression to the country and assess human rights. “The problem is that the invitation is open ended in that whenever the [UN] Special Rapporteur feels like visiting the country will do so at his/her wish. We cannot allow this because it would be like a house without a door,” Ambassador David Etuket, a Ministry of Foreign Affairs official, is quoted as having told local press freedom defenders, HRNJ, in a statement issued on Tuesday. Several human rights organisations and journalists in Uganda have repeatedly asked the UN to dispatch its envoy to visit the country due to the shrinking space of their operating environment. The University Act should be amended to she the Vice Chancellor serve as a Managing Director as in these Universities the University Secretary is the authority over finances. 2ndly, it is true the jobs of the top people should be advertised such that the competent people can be got (however, in Uganda's case, it is political influence which can mess up everything). 3rd, these Universities should have the equivalent of a clearing house manned by competent financial managers such that the academics people again don't take on the role which leads to conflict and may be focusing on making money hence compromising efficiency at teaching. Lecturers should stick to lecturing and competent financial managers deal with finance related matters including daily balancing of books in income generating areas. Kyambogo University Vice Chancellor Isiah Ndiege before the parliamentary committee. PHOTO BY GEOFFREY SSERUYANGE. Vice chancellors have rejected a new legislation that requires them to advertise jobs in public universities, including that of the vice chancellor, to competition as part of a wider plan to ensure more transparency and recruitment of the best candidate for the job. The vice chancellors led by Prof. Frederick Ian Bantubano Kayanja of Mbarara University of Science and Technology, who heads the Public Universities Forum, yesterday demanded that the government amends the whole Universities and Other Tertiary Institutions Act instead of amending the act piecemeal. “All public universities have suggested amendments to the Act,” Prof Kayanja said. The vice chancellors said without amending the parent Act, in the amendments targeting jobs in public universities, the government is treating symptoms. They were appearing before the parliamentary Social Services Committee to give their views on the new Bill titled: “The Universities and Other Tertiary Institutions (Amendment) Bill, 2012”. While the government says the decision to have all jobs in public universities advertised is to ensure transparency, Prof Kayanja said, this will add pressure on the meagre resources to public universities. “Most of the public universities operate at 30 per cent of the establishment and to advertise these jobs without increasing the wage bill will definitely affect our operations,” Prof Kayanja said. Presenting areas in the parent law which needs urgent amendment, Prof. Isaiah Ndiege of Kyambogo University said there was a need to amend the current law to increase the number of vice chancellors to about four to help the current single vice chancellor. Prof. Ndiege also said Section 38 should be amended to provide the qualifications of the members of the council and its leadership. He said the council should also be stopped from interfering with the management of the universities. In the proposed legislation, the government wants the jobs of the vice chancellors, deputy vice chancellors, deans and head of departments be advertised in the media. It would be madness if MPs had not okayed the Bus Project, however, as the buses get ready for the road, it is the duty of Kampala City Council Authority(KCCA)to see that traffic congestion is not worsened. One thing which should have long been done is to have up country taxis different from the city commuters. Taxi's from upcountry should not enter Kampala, they should off load about 2 miles from the city centre so that city commuters take the people to the city. This is long overdue, but the way to go. 2ndly, there is need to learn from the transporters like Posta Uganda who have done excellent transportation of people with no significant accidents. It is sad the number of people who die daily on our roads. Legislators agreed that all stakeholders be brought on board to streamline all issues before the buses hit the road. MPs on the parliamentary Public Service and Local Government committees have backed the Pioneer Easy Bus (PEB) project and called on the Works ministry to hasten the process of inspecting and issuing the buses with operational licenses. PEB, a private company, was cleared by Kampala Capital City Authority to introduce more than 500 buses in the country in a bid to decongest the city. The legislators, during a fact- finding inspection of the buses in Naguru yesterday, also demanded that other stakeholders be brought on board before the buses can start operations. “We all like the buses and they should begin work. What we wanted to do is confirm whether the buses were actually imported into the country. We, however, want all stakeholders to be brought on board,” Ms Florence Kintu, the committee chairperson, said. Mr Roland Mugume (Rukungiri Municipality) asked KCCA to approve the lanes for the buses. The committee is today scheduled to meet all the stakeholders including KCCA, PEB management and Works ministry officials to come up with a common position before the buses can be cleared. 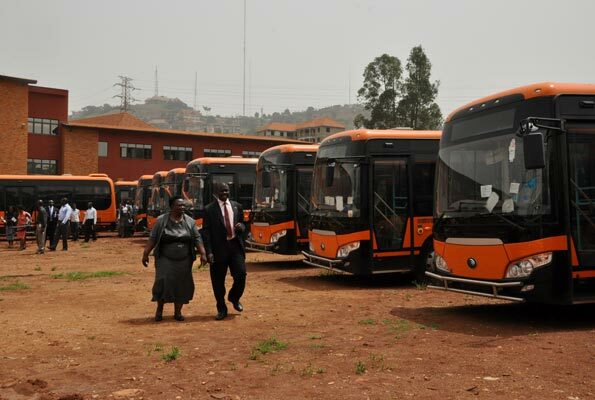 Mukono Municipality MP Betty Nambooze, however, said PEB must adhere to the statutory instrument number seven that regulates bus services in the country. She said the buses agreed to in the statutory instrument with a 60-seater capacity were not those that were imported into the country. But the operations manager, Mr Jabbe Pascal Osinde, insisted that the buses are standard urban specifications that carry 30 passengers seats while 30 passengers stand. “They are a standard equipment used worldwide and they are the best we could get for Kampala,” Mr Osinde said. Ms Nambooze threatened to write a minority report if her concerns are not accommodated in the main report. Responding to MPs’ queries that the bus drivers lack the necessary requirements for them to operate, the PEB chief executive officer, Mr John Masanda, said they had recruited and trained about 600 drivers. Mr Masanda commended the work of the committee, saying it had helped them streamline their operations. UNEB has to work hard to remain relevant. A few years ago, students being admitted for Statistics were being told off if they were incompetent at Mathematics that they should not waste time registering though they had the points. Recently, the Faculty of Law at Makerere University clearly stated that entrants were to be subjected to examinations before being admitted. It not news that there is examination cheating, a case UNEB is aware of but looks like they are unable to handle it. UNEB needs to struggle to remain relevant other wise chnces are that all institutions will start admission exams. Better. Candidates post better results although most shun science subjects. The Uganda National Examination Board (Uneb) has released the 2011, Uganda Advanced Certificate of Education (UACE) results with a slight improvement in the general performance of major subjects compared to the 2010 academic year. Uneb is the body that sets and marks national exams in the country. A total of 103,760 candidates registered for UACE examinations from 1,334 centres as compared to 101,495 candidates from 1,240 centres in 2010. This indicates an increment of 2,265 or 2.2 per cent as presented by Uneb statistics. In 2011, 102,296 candidates appeared for the examination compared to 99,904 in 2010. Releasing the exams to the Education Minister, Ms Jessica Alupo in Kampala yesterday, Uneb Executive Secretary Matthew Bukenya said female registered candidates increased from 40,856 in 2010 to 42,341 in 2011 and the female comprised 40.8 per cent of the total number of candidates who sat last year’s examinations. This figure is about the same as that of 2010 which was 40.9 per cent. The same year saw fewer female candidates about 1.1 per cent were absent compared to males 1.5 percent. “The overall performance of candidates in the 2011 UACE examinations shows that a very high percentage of candidates 99.2 per cent qualify for a UACE award (certificate) while in 2010, this was 98.8 per cent” Mr Bukenya said. The results also show an increment for the minimum entry of two principal passes for any student to join any tertiary institution as compared to 2010. For example, 65,417 students have qualified to join tertiary institutions from last year’s exams as compared 61,820 in 2010. The female candidates performance is at par with the male candidates although, the female candidates have slightly lower failure rate than males at 0.6 percent as compared to 0.9 percent. Last year’s exams also saw both female and male candidates’ performance tie in arts subjects while performance in Physics and Chemistry was comparable between the two genders. Uneb observed an improvement in performance of Entrepreneurship Education, Christian Religious Education, Literature in English, Mathematics, Agriculture, Physics and Chemistry. While History, Economics and Biology recorded drops in performance at the at A-E level although Biology recorded a slight improvement at the A pass level. While Uneb withheld results of 68 candidates last year over suspected examination malpractice, this year the number has slightly grown. Uneb announced that they had withheld results of more than 100 candidates for further investigations. Most of these are from St. Theresa Girls SS-Bwanda, Najjembe Homeland SS Lugazi, and Mariam High School-Kampala, St. John College Mpigi and Brethren Memorial School-Matugga. Ms Alupo welcomed the improvement in science-based subjects, saying the subjects form the foundation for scientific innovations as the country puts emphasis on industrialisation. She, however, reiterated preferences for science subjects by students. “I must note, however, that the number of students offering Mathematics and science is quite low at only about 20 per cent of the total candidature. At this rate, the country stands the risk of missing science based development programmes,” Ms Alupo said. I prefer to call it an Educational loan scheme because a student loan scheme in the actual sense of it does not make sense in Uganda setting. You can not waste time and lend to students when the jobs are not there and where there is any employment, when the chances of defaulting are over 65%. When Government pushes for such a scheme, you know it has failed to heed to advice as well as learn from the obvious. It is sad that the badly conceived and poorly packaged educational loan scheme is not likely to take off even in the coming 2012/2013 financial year, coutsey poor priorities by the NRM Government. UP EDUCATION BUDGET OR LOSE GRANT, WORLD BANK TELLS GOVT. The government stands to lose Shs240 billion if education budget is not increased to 20 per cent of the national budget. Government must commit to fund budget priority areas such as education, or risk losing external support, the World Bank, one of the biggest lenders to the country, has warned. Uganda stands to lose $100m (about Shs240b) World Bank grant to education, whose funding has declined to 14 per cent of the national budget instead of the 20 per cent committed by government as a step to achieving the Millennium Development Goals on Education by 2015. Ms Sukhdeep Brar, an education specialist at the World Bank, on Tuesday, said while Uganda is eligible to apply for the Global Partnership for Education grant, the government has failed to meet the bank’s condition of allocating at least 20 per cent of the national budget towards education. The $100million grant is a catalytic fund to help countries meet the MDGs by 2015. “This is something that the secretariat will examine. It is a serious issue. When government has continued to reduce funding from 17 per cent to 14 per cent creating a huge gap contrary to World Bank requirement and this will not be taken for granted,” Ms Brar said at the Ministry of Education 2012/2013 budget workshop in Kampala. The 14 per cent (Shs1.4t) allocation to education is three percent below the 17 per cent projected in the National Development Plan, government’s working document approved in 2010. The head of education development partners, Mr Marc Gedopt said while the Ministry of Education had indicated that the budget would increase in nominal terms, they had noted a contraction in real terms. “If we take into account the high rate of inflation at 28.1 per cent, the size of the budget is worse than stagnant and this can have far reaching impact on the ground and serious constraints on our aspirations,” Mr Gedopt said. He said Shs25b could be saved yearly by eliminating ghost schools, pupils and teachers. Finance Minister Maria Kiwanuka said the budget strategy for FY 2012/13 would prioritise interventions for addressing high interests and inflation, infrastructure constraints and inefficiency in service delivery. “Our fiscal policy should aim at addressing challenges threatening to reverse the country’s economic growth and long standing record of macroeconomic stability,” Ms Kiwanuka said. Although education took the largest share of national budget (Shs1.4 trillion), Mr Francis Lubanga, Ministry of Education Permanent Secretary yesterday said the overall deficit in FY 2012/13 budget amounts to Shs314.25 billion from the available resource of Shs1,501.66 billion compared to the total requirement of Shs1815.785 billion. Some Ugandans don't mind their repute as long as they serve the NRm Government. That is being myopic. As long as one can use his judgment and know that the military regime will make him do things contrary to the norms and or even common sense, it is best not to work for it so that one maintains credibility. Kofi Annan, the former U.N. secretary-general, was appointed joint special envoy on Syria for Ban Ki-moon and Arab League Secretary-General Nabil Elaraby and granted a mandate to halt the violence, end human rights abuses, and help promote a peaceful political settlement of a crisis that has already claimed well over 5,000 lives. The appointment, which was announced by the United Nations Thursday, places a high-profile diplomat with extensive experience in the region, and a history of dealings with President Bashar al-Assad, to help halt the spiraling violence in Syria. But some top diplomats cautioned that prospects for securing a political settlement remain slim, and that it may be too late to secure a diplomatic solution to the crisis. This will be Annan's first major diplomatic troubleshooting effort since 2008, when he led an African Union mediation effort aimed at ending a post-election civil war in Kenya. Annan received international plaudits for his success in persuading the Kenyan President Mwai Kibaki and Raila Odinga to form a coalition government. "The Special Envoy will provide good offices aimed at bringing an end to all violence and human rights violations, and promoting a peaceful solution to the Syrian crisis," according to a statement released by Ban's office. "He will consult broadly and engage with all relevant interlocutors within and outside Syria in order to end the violence and the humanitarian crisis, and facilitate a peaceful Syrian-led and inclusive political solution that meets the democratic aspirations of the Syrian people through a comprehensive political dialogue between the Syrian government and the whole spectrum of the Syrian opposition." A Nobel Peace Prize laureate, Annan earned a reputation as a forceful proponent of human rights, promoting the doctrine that states have a responsibility to protect their own citizens and building up the U.N.'s institutional capacity to monitor rights violations in peacekeeping missions. But he is also associated with some of the U.N.'s greatest human rights failures, including leading the U.N. peacekeeping department at a time when the U.N. failed to intervene to halt mass atrocities in Srebrenica and Rwanda. As secretary-general, Annan worked closely with President Assad. In her book No Higher Honor, former U.S. Secretary of State Condoleezza Rice credited Annan with persuading the Syrian government not to block a cease-fire agreement ending the 2006 war between Israel and Hezbollah. The U.N. General Assembly adopted a resolution last week condemning Syria's violent crackdown on anti-government demonstrators and asking the United Nations chief to appoint a special envoy to support an Arab League initiative for a political transition in Syria to a government of national unity. Ban will be in London tomorrow, but is expected to announce the new appointment as a high-level diplomatic meeting takes place in Tunis, where top Western and Arab diplomats, including U.S. Secretary of State Hillary Clinton, are set to discuss Syria's future. The selection of Annan sends "a clear message that this is at the top of the international community’s agenda," said one council diplomat. "He's clearly a political heavyweight." It is a miracle to have a day in Uganda without the Police Force having to use tear gas. A Government which can only sustain itself in power by use of Police Force surely must have graduated to a Police State. It is unfortunate the level of degeneration, yet our leaders cannot see sense. They assume that as long as one has instruments of power; the army, police, name them then it is okay. But where is the common sense that people's will should prevail to have them governed? More and more money has to be spent on buying tear gas! Yes, that is Uganda the would be Pearl of Africa! Police State describes a state in which the government exercises rigid and repressive controls over the social, economic and political life of the population, especially by means of a police force. A police state typically exhibits elements of totalitarianism and social control, and there is usually little or no distinction between the law and the exercise of political power by the executive. In the police state, rights are non existent and laws are selectively enforced. The inhabitants of a police state experience restrictions on their mobility, and on their freedom to express or communicate political or other views, which are subject to police monitoring or enforcement. Political control may be exerted by means of a secret police force, which operates outside the boundaries normally imposed by a constitutional state. The reason why some of us believe Museveni long expired as Presidential material for Uganda is simply seen from the way he does business. The Speaker of Parliament is seen from the eyes of those who understand how Government business should be done as a person who is doing things the right way. Then comes the man who has killed institutions in the country, with terrible scandals showing like the Bassajjabalaba. My prayer for Uganda will remain to God. God, surely can't the people of Uganda have better leadership? Inquiry. MPs voted to stop the operations of the commission of inquiry in to UPE and USE until an audit by the Auditor Generals is done on money so far spent. President Museveni has attacked Parliament and Speaker Rebecca Kadaga, castigating her for allowing MPs to stop the operation of the Commissions of Inquiry into UPE and USE. Addressing an NRM party caucus on Tuesday, Mr Museveni, according to a source, said Ms Kadaga went beyond her limits when she allowed Parliament to stop the operations of a commission he had set up. “How could she allow Parliament to put a stop on such an important committee? It is very unfair to pass a resolution against someone without listening to them,” Mr Museveni said, according to the source, who preferred anonymity for fear of reprisal. Early this week, Parliament unanimously voted to stop the operations of the commission of inquiry until an audit by the Auditor General is done on the money so far spent. Minister of Education Jessica Alupo had earlier asked MPs to pass a supplementary budget of Shs2b for the commission but said she was unable to provide a report on the substance of the commission’s work nor comment on the adequacy of their work since she had never received a report from the commissioners. The MPs voted to stop the probe and tasked the Committee on Social Services to investigate the operations of the commission. This is not the first time the President is attacking Parliament for decisions it has taken to curb unnecessary spending and perceived corruption. Recently, the President opposed Parliament’s resolutions to put a moratorium on the oil signings until new laws are made. “The minister of education didn’t try to present the government position and all MPs were against the slow manner in which the commission is conducting its business and that is within the mandate of Parliament,” the source said. Ms Alupo denied she was to blame for the action. “Didn’t they (MPs) know that the Ministry of Education is under investigation, including the minister and that’s why we couldn’t get a copy of the reports from the commission?” she asked. “A commission is the role of the President and even the minister doesn’t have the power to interfere with their work, she added. Many people in responsible positions in this country may only be safe if the Law regarding the operation of the Auditor General is changed. I don't see why transactions in Uganda are not audited by the Auditor General prior to being undertaken. It looks like some people stand to benefit from the status-quo. It does not make any more sense given the corruption in the country to have Audits after money is long spent. Those who sing about patriotism when in actual fact some of them are the most corrupt should have the country at heart for once. I repeat, it is hopeless for Uganda to continue audits after money is long spent. The sensible thing to do is to make audit before transactions are undertaken. Queries. Auditor General’s report, tabled by Lord Mayor Lukwago, questions irregular job allocations at city authority, Shs20m overtime payment to ED Musisi and cites a driver who was paid Shs7m in a single month, among a motley of accountability queries. Kampala Lord Mayor Erias Lukwago yesterday made public a report he said was written by the Auditor General that exposed irregular recruitment of unqualified staff, who were in turn paid hefty overtime allowances exceeding their salaries. Beneficiaries, according to the report, included KCCA Executive Director Jennifer Musisi and at least three drivers, one of who received more than Shs5 million in overtime pay within just a month. While Ms Musisi took home at least Shs20m in allowances that same month. According to the report, which Lord Mayor Lukwago said has not been tabled before Parliament because of pressure from President Museveni, Ms Musisi is cited in questionable overtime payments of Shs20 million and office imprest of Shs30 million in just two months of May, and June 2011. Apparently, the AG says in the January 28 report for the financial year 2010/2011 that the Kampala Capital City Authority (KCCA) ED is not supposed to earn overtime allowance, while her office has failed to account for the Shs30 million advance to her for imprest. AG John Muwanga could not be reached for comment by press time but KCCA officials confirmed receipt of the report. Ms Musisi last evening said most of the queries in the report were about issues which occurred when she was not KCCA ED. “We took action on most of those queries even before the office of the Auditor General made their inquiries,” Ms Musisi said. The report queries the Uganda Taxi Operators and Drivers Association (UTODA) contract. The controversial taxi body was recently thrown out of management of city public transport. 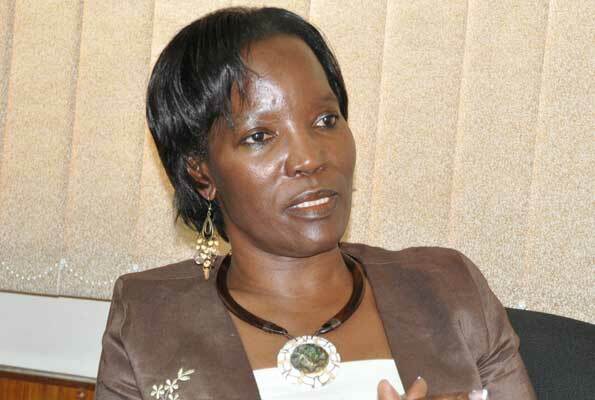 The report faults Ms Musisi on illegally receiving over Shs20 million in overtime payments. “As a public officer, holding an established office with a fixed salary, Ms Musisi is not allowed to draw money for overtime,” said the report. The AG also noted three drivers in Ms Musisi’s transitional team were earning overtime pay far above their monthly normal pay packages inclusive of lunch and transport allowances. In June 2011 for example, one driver, Mr Shakarim Male, received over Shs5.2 million in allowances even though his salary inclusive transport and lunch allowance was Shs1.8 million a month. This, the AG said, is in contravention of best human resource management practice and standing orders where a maximum consolidated 30 per cent provision is envisaged for drivers. The AG also noted a huge influx of unknown persons, said to be in Ms Musisi’s team who were being paid huge salaries and allowances by KCCA illegally. “I requested to be allowed to select a team to work with and government gave the approval,” Ms Musisi told Daily Monitor by telephone. The current Kampala City Council Authority (KCCA) pay structure is evidence that the Executive Director is the boss in the city. Executive Director: Shs36 million per month. Deputy Director and other directors: They will earn between Shs22 million and Shs27 million . Division Mayors: Shs10.7 million each and their deputies get Shs8.2 million. Office attendant (also least paid staff at City Hall): Shs1.1 million. Under the defunct KCC, the mayor’s monthly salary was Shs2.8 million while division mayors were earning a basic salary of Shs1.8 million. 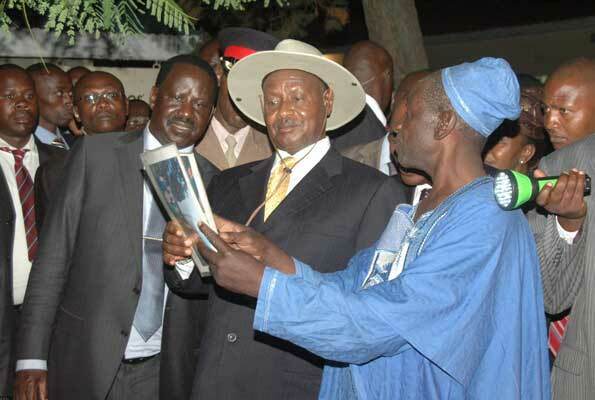 GIVEN BASAJJA'S CASE, CAN'T MUSEVENI STOP HIS DIRECTIVES? Former internal security operatives have cried foul over delayed payment of their terminal benefits worth Shs75 billion. The chairperson of the ex-Internal Security Organisation operatives, Mr Jeff Kiwanuka, told journalists in Kampala yesterday that they would be forced to appeal to the Supreme Court to attach government property if payments are not quickly processed. “Some of us are sick and cannot even walk. We have no money for treatment. We appeal to government to quicken the process because the situation is getting worse every day,” he said. At least 900 former operatives were retrenched between 1992 and 1995 and sued government in 2004 over delayed payment of their benefits and won the case. The court also ordered the government to give each claimant Shs500,000 as general damages for transport, medical allowances plus their terminal benefits. But in 2006, the former director of civil litigation, Mr Joseph Masiko, petitioned the High Court to review the ruling but court upheld its earlier judgement. However, in a January 31 letter, President Museveni directed the Attorney General, Mr Peter Nyombi, to expedite the process and pay the operatives. “This is to direct you to expedite the payment process of the former employees of ISO,” the letter read in part. Mr Kiwanuka is not aware whether the AG has responded to the President’s letter, but said Mr Nyombi was in touch with their lawyers. Many of us appreciate that there is bad leadership, but the approach to the problem differs. While some people want to show us that they are very concerned, some may not be genuine. Yet even when genuine, there is a level one can go to in being confrontation to security agents. If a stray bullet gets one and he/she is killed, yes, the one who shot may be charged, but the one shot may be dead, and the same will go on. Therefore, it is not a confrontational approach that is civilized enough for us to use. We still have other options. The other time God was good to Nabilah that she survived the accident which she alleges was intentionally staged to see her meet her creator. The other day she is on Oxygen. I think our politicians should stop just showing that they exist. We have a situation on ground to solve, the bad conditions our people go through. It makes a lot of sense sitting with the people and see how to make these better other than a rally which ends up just injuring them without bringing food to their plates while at the same time the Hon MP has a sure package of about shs 15m. I don't advise any useful Ugandan to make a martyr because Museveni shoud go when his/her effort will not make any significant change in people's welfare. No rally. The police say the rally was barred because the activists were supposed to hold the gathering at Kiwafu and not Katwe. Forum for Democratic Change leader Kizza Besigye and several other Activists for Change (A4C) officials were yesterday taken to Case Clinic after they sustained injuries following running battles which erupted between police and A4C supporters at a planned rally in Katwe, a city suburb. Dr Besigye bled profusely from his left leg, after he was hit by fragments of an explosive device that was lobbed in his direction. “They are using a new kind of teargas that emits metal fragments on explosion,” dramatist and A4C member Paddy Bitama told this newspaper. Kampala Woman MP Nabilah Sempala and FDC Women’s League leader Ingrid Turinawe were also taken to the same clinic with injuries to the head and chest. Ms Turinawe’s vehicle was also vandalised and her personal belongings stolen. 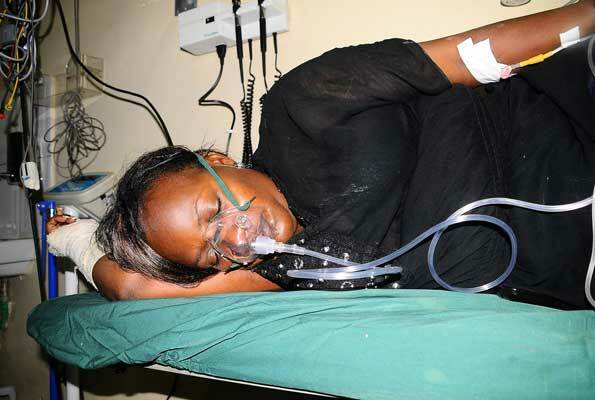 By press time yesterday, Ms Sempala was still on oxygen after losing consciousness, while FDC youth leader Francis Mwijukye was admitted after he was reportedly hit by a rubber bullet on his right leg. Mr Mwijukye has been crying foul over harsh bail conditions that confine him to his home village in Ankole Sub-region, western Uganda. He must seek permission when he is travelling out of the region to Kampala to attend court. Others injured include, Sam Kalule, Shafiq Tebandeke and Abdul Karim Twinomugisha. “This tells a lot about President Museveni’s government. The manner in which the rally was handled shows the kind of government and security apparatus we are dealing with,” Western Youth MP Gerald Karuhanga told journalists when he visited the injured at Case Clinic yesterday. The A4C officials had attempted to hold the rally at about 3:30pm yesterday. “There was a brief exchange of words with police who had a letter, saying the rally was not allowed,” an eyewitness told this newspaper. Police has, however, blamed the incident on “hooligans” whom they said threw stones at police without provocation. Police fired tear gas and rubber bullets to disperse the crowds. 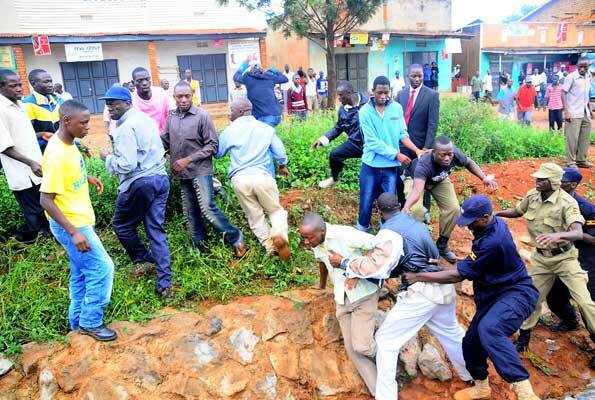 “That rally was to be held in Kiwafu and not Katwe,” Police Spokesperson Asuman Mugyenyi said. Mr Mugyenyi said the Katwe rally had been denied twice because the venue was reportedly too close to the Kampala-Entebbe highway and very near a busy market. News of Dr Besigye’s injuries provoked an uproar in his Kasangati home area, outside the city, with residents temporarily barricading the Kampala-Gayaza road. While Uganda's major problem today is President Museveni and his policies which are putting the country is a terrible ditch, it is unfortunate the infrastructure created by his overstay in power. Many schools have the wrong teachers given that qualified teachers get peanuts and would be hawkers are taking on the teaching in some schools as a number of children are unable to go to school, a big shame for the Government at this moment of development and modernization. I have been shocked though not surprised this morning to hear a Nursery School teacher guide wrongly the children in the Lord's Prayer. She said with emphasis "... Lead us into temptation..." I could not believe that I heard her right, but she repeated the same! This is how far Uganda has sank. There are no worthy systems to check such teachers, as the money that would help such efforts is corruptly stolen as those in power create empires for themselves out of the tax payer money and donor funds as well as loans procured to see development. The outcome is deteriorating education for the children. The fruits of dictatorship and the much love for one's welfare as opposed to the welfare of the majority has left Uganda in a sorry state courtesy of Museveni's long stay and "I know it all attitude!" It is only God who will turn events around in Uganda. WHY IS THE NRM GOVERNMENT NOT PAYING WHAT IS DUE IN RENTS TO BUGANDA? The Budget Committee has thrown out State House Supplementary Budget, however, the question is: When will the NRM Government take the dues in rent arrears to Buganda as a serious matter? We are having a government but at times one wonders whether the NRM is serious or a joker. It does not make sense nor any logic to sit on rent dues when you know very well that you are benefiting from the services of those buildings. It is a scandal for the NRM Government. We the Baganda in the diaspora in consultation with other Ugandans convened on 4th November 2011 at 20-30 London Road, Barking. London (United Kingdom) and resolved to demand what the government of Uganda owes Buganda within a period of sixth months from today. The acrimony between Buganda and the central Government stems from the failure of the NRM government to honour Buganda’s demands. These demands are part of an agreement between Buganda and the NRA/M reached as a prerequisite for Buganda’s involvement in the 1981 Luweero Bush war. 1. Buganda and other regions of Uganda be given full federal status as recommended by the Odoki report where 97% in Buganda and 65% in Uganda demanded for federal status. 2. The central government pays the 23billions Uganda shillings debt it owes Buganda in Rent and returns all Buganda properties including land. 3. The government releases with immediate effect all people detained without charge since September 2009.These include all Ugandans detained during the Kayunga and walk to work demonstrations. 4. The NRM government stops fragmenting Buganda region into unnecessary districts with the ultimate aim of weakening Uganda. 5. The government stops the rampant corruption, nepotism and marginalisation of sections of Ugandans. 6. If these demands are not met within the stipulated six months period, we shall announce the next step. The Budget Committee yesterday refused to approve State House’s request for Shs92 billion in supplementary funding, citing duplication of figures amid heavy criticism of President Museveni’s unchecked spending. Astonished legislators led by Dokolo MP Felix Okot-Ogong wondered whether President Museveni was aware such “lavish” spending flies in the face of harsh economic realities the country is facing Finding their explanations unacceptable, the committee which is scrutinising government’s supplementaries, threw out ministers and State House officials who they directed to return next Tuesday with a clearer justification for the huge expenditure. Ms Christine Acayo (Nebbi Woman MP) and others pointed out that there were duplications in the money needed for water and electricity. Electricity (Shs180m) is repeated six times, the same with water for an equal amount. Budget Committee Chairperson Tim Lwanga dismissed the request. “There is no way we are going to approve this cut and paste. The bill for water cannot be the same as that of electricity. There must be something wrong,” Mr Lwanga said. State House Comptroller Lucy Nakyobe and acting Minister for Presidency Muruli Mukasa, who were appearing together with junior Finance Minister Fred Omach, could not find a sensible response. Ministries were yesterday appearing before the committee to defend Shs215.6b (a figure representative of 2.09 per cent of total Gross Domestic Product needed to pay for what government calls unforeseen priorities. The committee observed that most of the items in the State House budget could have been provided for within the normal budgeting process. “The money we receive is too little- we suffer anguish. It has become perennial that the budget proposals we give to finance over the years are not honoured. Most of these items are unforeseen and of emergency nature. The President has to travel and we have no choice,” he unsuccessfully argued. STATE HOUSE SPENDING JUMPS TO SHS160BN! State House was yesterday unapologetic in the face of Parliament’s dismay at the Presidency’s repeated failure to spend within budget as its expenditure topped Shs160 billion as the country approaches the midway point of the Financial Year. Latest figures from Ministry of Finance indicate that the State House budget has jumped from Shs66.6 billion approved in September last year to Shs158.5 billion. Responding to members’ queries over State House’s uncontrolled spending, Secretary to the Treasury Chris Kassami admitted before the Finance Committee yesterday that supplementary requests were an “inconvenience” and a “disruption” of the Budget implementation process. Mr Kassami told the committee that the government was in the process of amending the Budget Act, 2001 to provide for a 3 per cent allocation for a Contingency Fund to take care of unexpected supplementary requests. While Parliament is yet to approve a recent Shs91.9 billion State House supplementary request in respect of monies already spent outside budget, Ministry of Finance has released Shs117.2 billion— representing 175 per cent of the total approved budget for State House for the current Financial Year. With the Ministry of Health struggling to find Shs7 billion to help thousands of children stricken by the nodding disease which has claimed hundreds of lives in northern Uganda, State House last week tabled a request of Shs91.9 billion in more funding for the Presidency. But presidential spokesman Tamale Mirundi, was scathing in his response to MPs who have accused the President of extravagance and insensitivity to the sick children in northern Uganda. He likened them to “peasants” whose arguments do not hold worth in a modern society. Mr Mirundi said those complaining that the President is extravagant are like loud-mouthed parents, tired of paying school fees for their children. “Nodding disease is not an issue for State House. That falls under Ministry of Health and disaster preparedness. Those MPs who are complaining about President’s expenditure should stop advancing peasantry arguments. State House has not grabbed any money for health and they should stop inciting the public,” he said. Mr Mirundi said President Museveni’s expenses were a reflection of a working leader, offering accountability to his people. Shadow Finance Minister Geoffrey Ekanya once again accused the Presidency of “greed” and perpetuating financial indiscipline at a time when the economy is doing badly wit inflation in double digits. 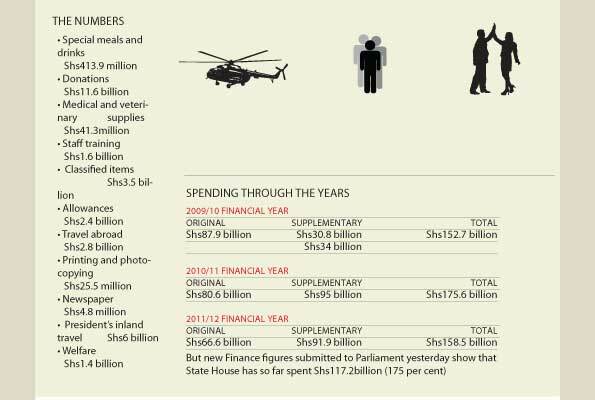 STATEHOUSE SPENDING JUMPS TO SHS 160BN! “Nodding disease is not an issue for State House. That falls under Ministry of Health and disaster preparedness. Those MPs who are complaining about President’s expenditure should stop advancing peasantry arguments. State House has not grabbed any money for health and they should stop inciting the public,” he said yesterday. State House’s actions, along with the allegations of financial indiscipline, fly in the face of Section 12(1) of the Budget Act 2001 which allows Ministry of Finance to spend only 3 per cent of total the budget as supplementary expenditure for which it can seek retrospective authority from Parliament. Eying power is corrupting Besigye to the extent of making false utterances. While speaking to a crowd that gathered at Busoga square during the last campaign rally of the FDC candidate Paul Mwiru who contested in Jinja Municipality East constituency at Jinja he is quoted to have said, "Enough is enough; our country has been plundered by people of mediocre talents extracting every public resource for selfish interests, but time is now patriotic people joined us to fight such impunity" he said. Dr Besigye said that the only sure way of eliminating corruption out of the country is by voting out all NRM members out of authority because they coerced to plunder the nation." The utterances by Besigye are simply of a person who is ignorant about corruption in Uganda. To say that the only sure way of eliminating corruption is by voting NRM Members out of authority is simplistic and impossible, yet it cannot deliver. To be sure, even if Besigye got power a month now, the country is so messed up that even in 5 years, it is difficult to predict that a leader will have made substantial improvement in the way things are. In such circumstances, we the people of Uganda have to accept that we have a problem. The biggest problem being due to top leadership. We then need to think of civilised ways to handle the matter. So far, we have a problem. We thought that the 9th Parliament can be objective enough on what ever issue that comes their way, unfortunately, over the shs 103m for the cars, many say these cars have to be got. While an MP has a package of about shs 15m, it is a shame that our teachers have less than shs 200,00 take home package. Dr Besigye himself is corrupt. He stood for President from 2001, unfortunately, he has not been able to make it. Now, he is resolving to use of force. Many of us are aware of the cost force can do to the badly impoverished people of Uganda and a country badly in debt with insignificant import revenue yet with a lot of demand for foreign produced goods. If Besigye is not corrupt, why does he not give way to some other person to take on. It looks like whether he leaves the party Presidency, he will still push to see himself in office of President, to me that is corrupt. The people of Uganda ought to understand what corruption has done to the country, then come up with institutional approach to the problem and finally the people will win in a democratic way. We have seen Parliament united to see Ministers whose acts are not befitting the offices they hold. These have been told to leave and so far so good. Can we see the institution of the Parliament together with civil society work together to see sanity in the country as opposed to force which will lead to similar circle of an eating click and corruption because they 'fought and sacrificed for our rights. The President for Forum for democratic change FDC retired Col Dr Kizza Besigye says efforts by the ruling government to frustrate the efforts by opposition activists to cause change peacefully will not dampen their spirits. Dr Besigye says that even after quitting active party politics, he will not relent on pushing change in Uganda. Besigye said he was quitting the position of party president. "As long as you increase the number of strong opposition activists who cannot be intimidated by the threats and oppression of the sitting NRM government, expect change this year even before 2016 polls" Besigye said. The FDC president was speaking to a mammoth crowd that gathered at Busoga square during the last campaign rally of the FDC candidate Paul Mwiru who contested in Jinja municipality East constituency. "Enough is enough; our country has been plundered by people of mediocre talents extracting every public resource for selfish interests, but time is now patriotic people joined us to fight such impunity" he said. Dr Besigye said that the only sure way of eliminating corruption out of the country is by voting out all NRM members out of authority because they coerced to plunder the nation. 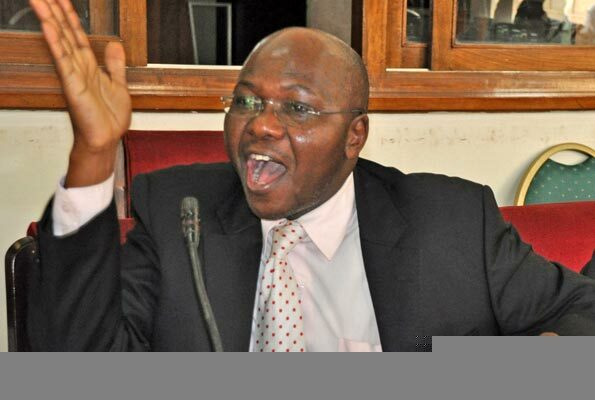 FDC 's Mwiru challenged the election of the NRM's Nathan Igeme Nabeta in courts of law over lack of minimum academic qualifications, and voter bribery prompting the February 9, 2012 bye elections. Flanked by FDC's big fish including party vice president Salamu Musumba, party national chairman Sam Kalega Njuba, and leader of opposition in parliament Nathan Nandala Mafabi, Besigye sent revelers into a pool of laughter when he asked whether the people of Jinja again want guns to cause change. Besigye perhaps got a different answer when the people responded in the affirmative and said; "Yes give, us guns." The same day, NRM chairman, President Museveni also campaigned in Walukuba masese soliciting support for NRM's Igeme Nabeta where he asked voters to distinguish saboteurs from genuine leaders who will deliver services for development. Museveni hailed Nabeta describing him as a development oriented person who brought the first innovation of a communication park in Uganda referring to Lake Victoria telecommunication centre LAVIT under construction at Kirinya in Jinja. The president also laid a foundation stone to Jinja central market under construction by Vambeco contractors saying its completion will add value to the business atmosphere in Jinja and the surrounding areas. This is a reminder that you can now publish a page on www.internationalwomensday.com to explain what initiatives you or your organization have in place to support women's advancement and to promote your support for International Women's Day. Take a look at www.internationalwomensday.com/freestyle.asp to see just some of the IWD pages to give you a few ideas. You can add to and edit your page as much as you like throughout 2012. WASHINGTON, February 15, 2012 – World Bank Group President Robert B. Zoellick announced today he would step down at the end of a five-year term in which a transformed Bank played an historic role during the global economic crisis, using record replenishments to provide more than $247 billion to help developing countries boost growth and overcome poverty. “I’m honored to have led such a world class institution with so many talented and exceptional people. Together we have focused on supporting developing countries to navigate crises and adjust to global economic shifts. The Bank has recognized that we live in a world of multiple poles of growth where traditional concepts of the "Third World" are now outdated and where developing countries have a key role to play as growth drivers and responsible stakeholders. At the same time, we've scaled up our support to poor people, countries, and communities and shown that the Bank can be an indispensable innovator, catalyst, and driver of a modernized multilateralism," said Zoellick. · Putting Food First: Alerted the world to the forthcoming food crisis, and helped marshal new resources and tools to address it. World Bank agriculture lending increased to $6 billion per year. · Created a new IFC (private sector) Asset Management Company to channel sovereign wealth funds and pension resources (to date $3 billion) to the private sector in Africa and other emerging markets. · Opened up the World Bank – landmark Access to Information policy, and Open Data Initiative throwing open the doors on Bank processes, projects, and data; to boost transparency and accountability all Bank projects have been geo mapped with clearly defined results-measurement. Last year, the Bank was ranked #1 for aid transparency by Publish What You Fund. · Increased the Bank's results focus and launched the Bank’s third-ever lending instrument – Program for Results, which disburses money after verifiable results have been achieved. · Advanced the Bank’s anti-corruption focus with a new sanctions policy, new preventative unit, new cross debarment agreement with other multilateral development banks, new Stolen Asset Recovery (StAR) initiative, and the launch of an International Corruption Hunters Alliance. · Blended innovation and practicality with new programs such as the Climate Investment Funds ($7.1 billion of contributions leveraged nearly $50 billion of investment spanning 46 countries). · and, maintained a flat real budget over 5 years, along with the Bank’s AAA rating. · Led the Bank’s efforts with the G-20, helping secure progress on development, agriculture, food security, infrastructure, and other issues. · New ventures: Nairobi Center focusing on security, conflict and development; “Gender Equality as Smart Economics”; Singapore Hub on Urban and Infrastructure development; Arab World Initiative. · Expanded voice of developing countries at the World Bank, particularly with an additional board seat for Sub Saharan Africa. Launched a new Partnership for Social Accountability to bring citizen voices into the development mainstream. Zoellick said that through June 30 he will stay 100% focused on being Bank President and will continue to drive policy and programs at a heightened tempo. For example, in late February, he will help unveil a joint groundbreaking World Bank-China study on the future structure of China’s growth model, drawing lessons for other middle-income countries. Zoellick informed the Bank’s Board this morning of his decision. In April 2011, the World Bank’s Board approved a Presidential selection process. The best President Museveni can do for Uganda is to come up with a strategy to see him out of office. The long stay has greatly contributed to the decay in public administration and it is becoming a daily scandal as those serving in various positions in his Government end up party to scandals which many of them attribute to pressure from State House. Focus on exits. NRM parliamentary caucus also summoned to discuss resignations of key ministers and plot way forward. President Museveni has summoned his Cabinet for an impromptu meeting this morning to discuss the precarious situation his administration finds itself in following the resignation last week of two senior ministers over corruption allegations. The meeting kicks off at 11am in the Cabinet Library at the President’s Office on Parliamentary building, this newspaper has been told. Daily Monitor has also learnt that the President has summoned ruling NRM party lawmakers to meet him this evening at State House, Entebbe, a few hours after his Cabinet discussions. “The secretary to Cabinet [John Mitala] sent out invitations inviting us for a special Cabinet meeting tomorrow morning [today],” said a source in Cabinet speaking on condition of anonymity due to lack of authorisation to speak on behalf of the Cabinet. While the agenda of Mr Museveni’s meeting with the NRM Caucus in Entebbe is unclear, the source said Cabinet is expected to discuss the report tabled last week by Parliament’s watchdog committee on public accounts into the questionable approval of compensation to businessmen Hassan Bassajabalaba and retired Col. John Mugyenyi. Did Museveni fire the two ministers? The duo’s resignation brought to seven the number of vacant cabinet posts, a development that may dent the running of government. With talk rife of an imminent Cabinet reshuffle, it is not clear if or how soon Mr Museveni will move to fill the vacant positions. Bank of Uganda Governor Tumusiime Mutebile, who was indicted on similar charges as Ms Bbumba and Mr Makubuya by PAC, remains in office even though calls remain apparent for him to resign. On Friday, Ethics minister Simon Lokodo said Cabinet is in agreement that Mr Mutebile should vacate office for his role in the deals. He said the same fate awaits former Solicitor General Billy Kainamura and his successor Ms Harriet Lwabi. “Mr Mutebile must leave office. The judgment didn’t spare him and there was no mercy. It was very clear that he needs to go but it is his absence which has spared him,” he said of Mr Mutebile, who was reported out of the country last week. Whether ruling for long is good or bad, in the case of Museveni,the world will get to know how he was able to be so long in power, and when such facts become public knowledge it will be the right time to judge whther ruling for long is good. The President on Saturday swallowed his 1986 words of despising long-serving leaders, saying the experience offers mastery in governance. President Museveni has, in an about-face, told Kenyans that it is beneficial for one person to rule a country for a lengthier period, citing his own 26-year tenure that he said has helped him morph into an “expert on governance”. Details of Mr Museveni’s speech, but one omitted in the official summary, offer a glimpse into reasons underpinning his reluctance to relinquish power even after being at the helm for slightly over a quarter of a century. He is also one of the longest-serving African leaders, having captured power in 1986 after a five-year guerrilla war. This is the second time in less than a year that Mr Museveni has publicly hinted about his motivation to cling to power and how that has enhanced his ability to lead more effectively. At the height of the walk-to-work demonstrations in April last year, he told a press conference at his country home that he has “been around for some time”, helping him understand how to deal with Western powers. Some members of the international community had at the time been cited in intelligence dossiers as responsible for instigating the demonstrations as a blind to effect a regime change. Mr Nandala Mafabi, the Leader of the Opposition in Parliament, last evening criticised the President’s U-turn, saying it manifested his “greed for power”. “He is now greedy for power and becoming a dictator worse than Idi Amin,” he said. Mr Nandala said the unchecked theft of the nation’s wealth by bureaucrats, collapse in social services coupled with worsening brain drain due to topsy-turvy remuneration in public service expose Mr Museveni’s “self-centredness”. Looked another way, Saturday’s declaration shows the President, whose present term ends in 2016, is not about to give up power and worse reflects that he is a betrayer of his former reformist self. When Mr Museveni allegedly engineered removal of the constitutional provision on two-term limit, each of five years, for an incumbent president before it was even tested, critics accused him of plotting to rule for life. Juxtaposing this statement with the President’s weekend pronouncement raises questions about how much politicians should be trusted on their words. 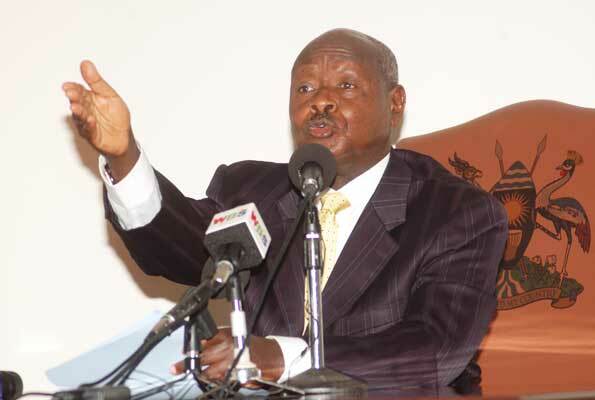 Mr Museveni has often dodged debate on his succession, leaving the country in suspense over the future. We have a problem of judgment. Recently i was in an early morning taxi from Kajjansi to Kampala. The lousy driver was carelessly overtaking about 10 vehicles in a queue. I abused the fool, told him to stop and I get of the taxi. There are many similar instances where vehicle drivers though in command of many people's lives drive carelessly. in such instances, it is the people in the vehicle to put sense in such a driver or else, all can perish. Sorry for all those who have died due to mistakes that should have bee avoided. 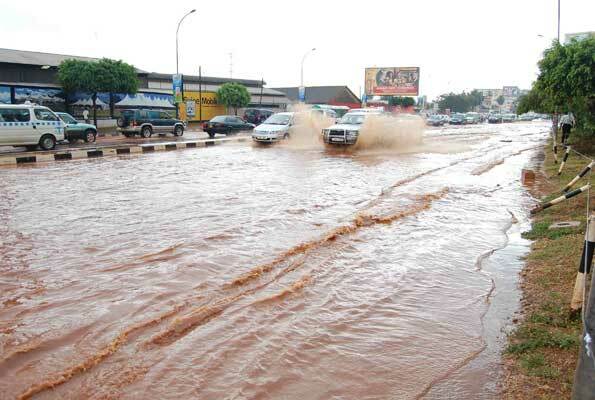 At least eight people were killed and nine others injured in three different incidents in Kampala Metropolitan and Lira this weekend following heavy rains. survivors largely blamed on poor visibility during a stormy downpour. According to police, a commuter taxi heading to Kampala had a head-on collision with a truck, killing three people on the spot while two others died on the way to P. 5 Mulago Referral Hospital. The dead were identified as Charles Lwanga, the conductor, Mike Wasswa, Ibra Wambuzi, Godfrey Deyawo and Harriet Kirunda. Their bodies were taken to Mulago and Kawolo hospitals for post-mortem while the injured were admitted to Mukono Hospital. Mukono District Traffic officer Annet Nakibuuka said it was too early to tell what caused the accident although early indicators point to fatigue on the taxi driver’s side. Whoever be witched Uganda. The country is so poor, and as incompetent decision mkes who cannot even save the country's resources. It is sad. Only God will rescue the country one day. Image crisis. The firm is expected to improve govt’s public image after blunders committed by the police. An Irish PR company, Glenevin Operational Risk and Security Consultancy, said to have been hired through the Office of the Prime Minister is reportedly going to be paid more than $1 million (Shs2.3 billion) to clean up the government’s image dented by police’s brutal crack-down on peaceful demonstrations. The firm is currently working behind-the-scenes in an environment where the police force continues to face criticism for using excessive force to stop the opposition from exercising the constitutional right to freedom of expression, assembly and to hold demonstrations. Some individuals believed to be associated with the firm have already been seen in the company of the commander of the police’s Field Force Unit, Christopher Kasalawo, at several Activists for Change (A4C) rallies guiding security officers. The government remains tight-lipped on whether the company was sourced in line with public procurement regulations and from what vote its fees will be paid. A4C, a pressure group whose coordinated joint opposition civil action against poor regime policies, widespread corruption in government, inadequate public service delivery, and protests at failure of the NRM government to improve the economic fortunes of millions of Ugandans stuck in poverty, is said to have been singled out for attention by Glenevin. The government initially struck back at A4C through Lt. Gen. Kale Kayihura’s police units that broke up rallies by indiscriminately firing volleys of live ammunition, tear gas and water canon at unarmed civilians, resulting in the death of tens of people and injury of scores of others. Several people were arrested although the courts have continued to dismiss charges preferred against opposition politicians who participated in the campaign. Leading opposition figures were flogged, manhandled and either thrown into police cells or prevented from leaving their homes under archaic colonial laws. However, the high-handedness of the security apparatus has caused government pressure as human rights activists and Western countries shocked by the ruthless suppression of freedom of expression and assembly, warned that it posed a threat to the country’s democratic progress and called for respect for human rights. On Tuesday, government Media Centre’s Executive Director Fred Opolot issued a press release acknowledging the hiring of a public relations company he did not name. “Our collaboration with this team will realign our provision of services to government and the media. It is greatly important that the management of Uganda’s international reputation becomes more streamlined and purposeful,” he said. Available information shows that Glenevin provides a wide range of consultancy and management services it says enables individuals and organisations perform to their optimum within cost-effective and efficient security structures. It is not clear whether government followed the Public Procurement and Disposal of Public Assets Act that, among others, requires competitive bidding for contracts of this magnitude and cost. Mr Opolot declined to comment when pressed, saying he will avail details later. Mr Pius Bigirimaana, the permanent secretary in the Office of the Prime Minister, on Wednesday said he is not aware of the Irish PR firm although sources say his ministry had something to do with their entry into the country. A government publicist, who has been dealing with the firm but did not want to be named for fear of reprisal, told Saturday Monitor that whereas the firm was welcomed by spokespersons, its methods are now being quietly criticised. It is now clear that Supplementary Expenditures is greatly misused by the NRM Government and it is clear this is where a lot of funds leak leading to inflationary tendencies in the economy. Time is now to phase out the Supplementary Expenditures and instead have a small percentage of each Ministry Official Budget set a side for unforeseen contingencies. The people in Ministry of Finance and those under the Permanent Secretaries by now know how the financial aspects move and the level of unforeseen happenings which call for address. One reason why we are witnessing a depreciating currency is Government failure in monetary discipline which is regrettable given the technical staff in the Ministries. It will make a lot of sense if a law is made and passed outlawing the Supplementary Budget practice in Uganda. With the Ministry of Health struggling to find Shs7 billion to help thousands of children stricken by the nodding disease which has claimed hundreds of lives in northern Uganda, State House yesterday asked MPs to approve Shs92 billion in more funding for the Presidency. Junior Finance Minister Fred Omach put in the supplementary budget request for Shs81.8 billion under its recurrent expenditure and another Shs10.1 billion for development activities— swelling its budget by 38 per cent. Part of the money will be used to pay for special meals and drinks, welfare and entertainment. Acholi Parliamentary Group chairman Reagan Okumu (Aswa) was aghast. He told Daily Monitor that while he was not surprised, Ugandans, and the people of northern Uganda, now know the kind of President they have. “If it is true that Shs92 billion is going to State House when our people are suffering with nodding disease without any serious response, may God have mercy on us,” Mr Okumu said. “To my colleagues in Parliament, if you approve this money the people of northern Uganda will never forgive you. It does not matter whether State House has already spent the money or not, this money shouldn’t be approved before getting money for the children who are suffering with the nodding disease,” he said. Just five months ago, Parliament approved another additional Shs66.6 billion for State House. If approved, the State House budget will balloon to more than Shs158.6 billion— more than twice the 2011/12 Budget for Mulago National Referral Hospital. This money would meet the Shs75 billion required to answer teachers’ demands for a 100 per cent salary increment. WHAT IS THE SOURCE OF UGANDA’S POST 2011 ELECTIONS INFLATION? Even though Section 12 of the Budget Act 2001 stipulates that the total supplementary expenditure that requires additional resources over and above what is appropriated by Parliament shall not exceed 3% of the total approved budget, for that Financial Year without prior approval of Parliament, and that the same section provides that sources of supplementary funding to include suppression of expenditure on other votes (budget cuts), additional resources and re-allocation, it is a fact that the National Budget has both the Government’s contribution (taxes and non – tax revenue) and what is projected to be financed by the donor community. In the case of 2010/11 Financial Year, of the approved annual budget of Ushs 7,588.49 billion, it is most likely that not all the budgeted amount was realized, in which case, having a supplementary budget of Ushs 602.65 billion could have injected into the economy more than Ushs 602.65 billion as money created by the Central Bank which situation had obviously to create inflation. Secondly, as per the table below which shows the votes that had substantial expenditures for the financial years 2009/10 and 2010/11, it is clear from the addition of the total Supplementary for the Financial Year 2010/11 that it gets to Ushs 530,160,783,198, out of Ushs 602.65 billion the total supplementary for the same financial year. It is not clear how a whole Ushs 72.48 billion happens to miss in the figures for the year’s supplementary (How could the Budget Monitoring & Accountability Unit of the Ministry of Finance have overlooked the whole of this figure and not indicated through which Ministries it was spent?). Does that mean that the whole of that amount was not substantial? It comes out clearly that we are experiencing inflation because of NRM’s indiscipline in expenditure to the extent that in an attempt to sort politics, it resorted to printing money and a lot of it is in circulation! The Public Finance and Accountability (PFA) Act 2003 (16) allows that if the amount of funds appropriated by the Appropriations Act is insufficient, or that if a need has arisen for expenditure for a purpose for which no funds were appropriated by Parliament, a supplementary estimate, showing the amount required shall be laid before Parliament and that the expenditure votes shall be included in a Supplementary. Appropriations Bill for Parliament to provide for their appropriation. Section 12 of the Budget Act 2001 stipulates that the total supplementary expenditure that requires additional resources over and above what is appropriated by Parliament shall not exceed 3% of the total approved budget, for that Financial Year without prior approval of Parliament. The same section provides that sources of supplementary funding include suppression of expenditure on other votes (budget cuts), additional resources and re-allocation. The PFA Act 2003 (16) is in line with the provision of the Constitution of the Republic of Uganda 1995 Article 156 (2) (a, b). 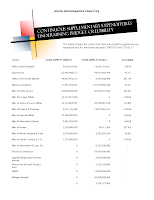 In the FY 2010/11 Parliament appropriated a total supplementary expenditure of Ushs 602.65 billion for recurrent, development and statutory bodies expenditures inclusive of taxes, arrears and tax payments. Of the total supplementary expenditure, the recurrent component was 71% (Ushs 428.3 billion); development expenditure was 8% (50.6 billion) while statutory was 21% (Ushs 123.78 billion). 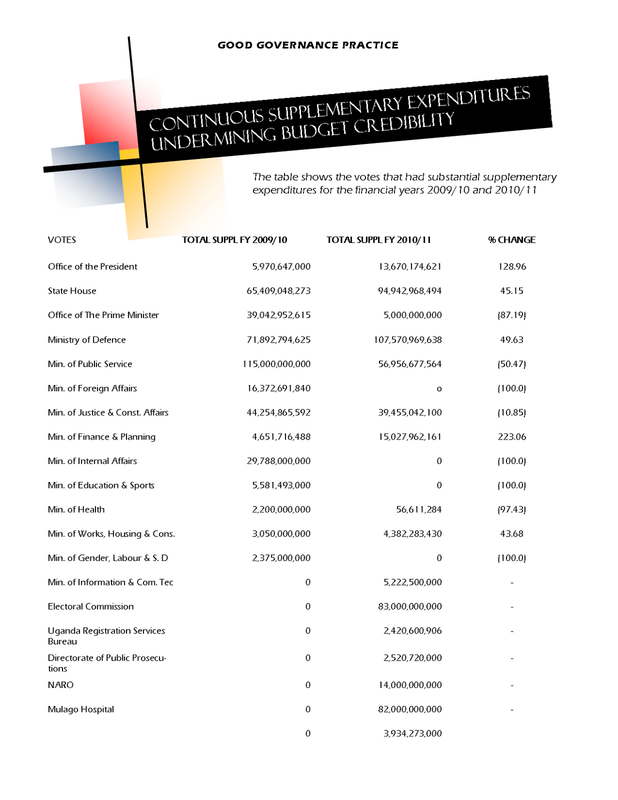 The supplementary budget of FY 2010/11 exceeded that of FY 2009/10 by 145 billion representing an increase of 32%. The supplementary budget for FY 2009/10 was shs 457.94 billion of which Ushs 145.95 billion was for recurrent expenditure representing 31.2% of the entire budget and Ushs 98.263 billion (21%) was for development. The statutory expenditure budget was 5% of the approved annual budget of Ushs 7,588.49 billion. 1. The budget continues to experience allocative inefficiency in form of supplementary expenditures on activities that are recurrent in nature. 2. The supplementary expenditure has been increasing over the years FY 2008/09 – FY 2010/11. 3. The regular supplementary expenditures undermine budget credibility. The supplementary budgets undermine the entire budget process when the targeted outputs at the time of approving the annual budgets are suppressed as a result of budget cuts. This further creates inconsistency in the budget implementation by affecting sector outputs already indicated in the work plans. This hinders the timely completion of planned activities and subsequent service delivery. The regular unplanned supplementary appropriation to the approved budget undermines one of the most important functions of the budget of providing a detailed, comprehensive costing of all the policy proposals. The budget has continued to experience allocative inefficiency in form of supplementary expenditures on activities that are recurrent in nature. Entities must identify activities susceptible to supplementary expenditures in time and appropriately budget for them within the available resources. Recurrent supplementary expenditures should be discouraged except in extreme cases of emergencies. Above is a danger spot along Nakawuka road just after Kawuku trading centre. Any person can get a serious accident here or even death. The biggest problem is the handling of the rain water which is given chance to eat into the road. Along Entebbe Road in close vicinity to some Parking Space near to Kitende Secondary School, there is a water drainage over which there National Water Pipes. I wish the Ministry of Works puts protective pipes surrounding this place. It is a death spot.